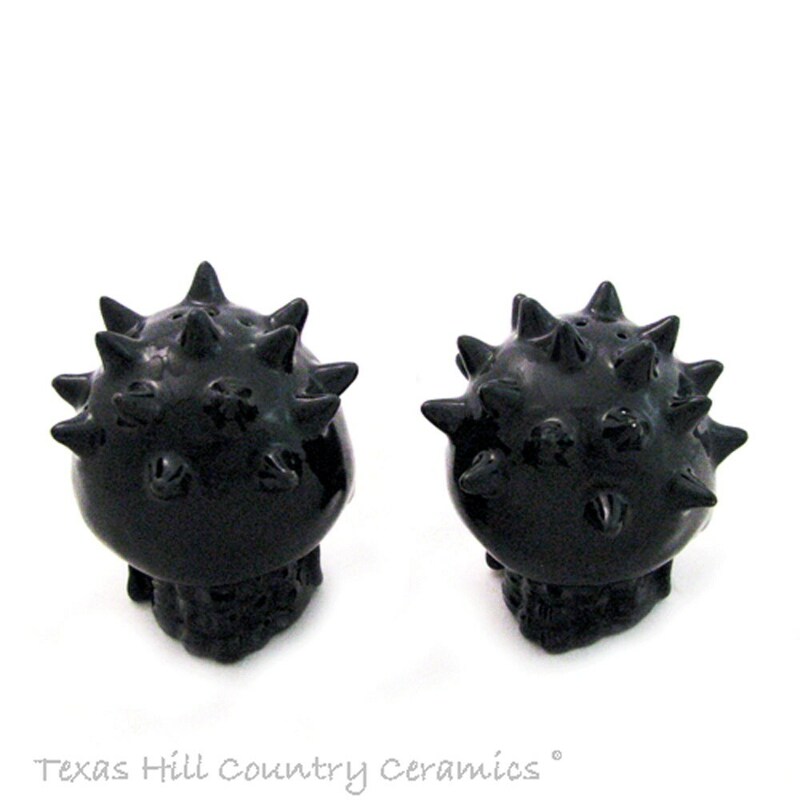 Complete any haunted dining table setting with this set of black spiked skull salt and pepper shakers. 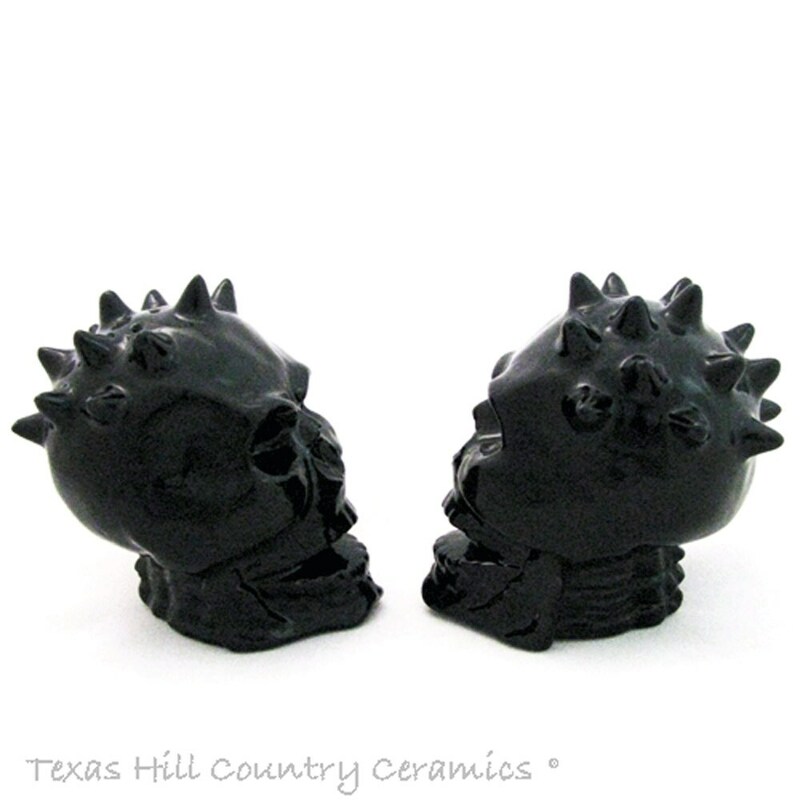 These ceramic skull shakers are perfect for kitchens too. 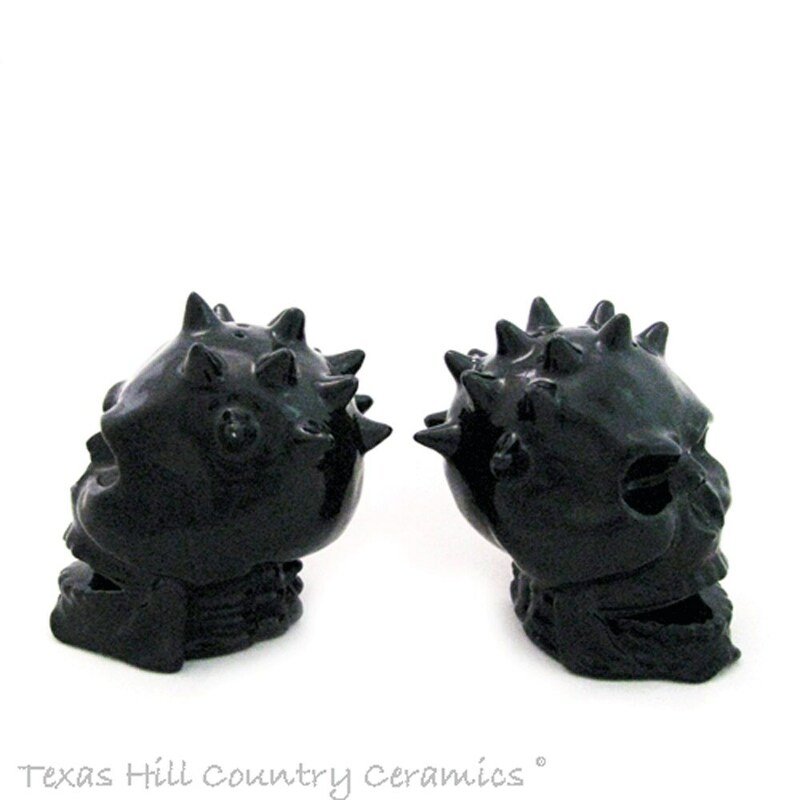 This set of ceramic skulls are finished with lead free black glaze. Each skull is detailed with features associated with a skull plus spikes for added wickedness. 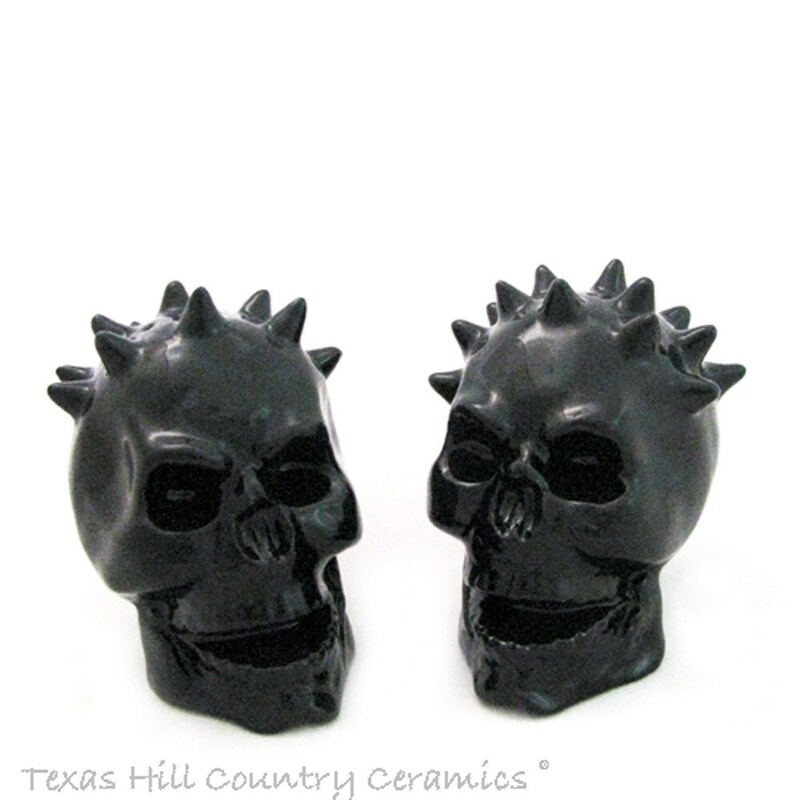 The set of skulls are made of slip cast ceramics that has been kiln fired. All glaze used on this set of shakers is non-toxic and lead free. • 3 5/8 inches tall. Plastic stoppers are in the bottom of each skull for easy filling. Coordinating spiked skull items are available.